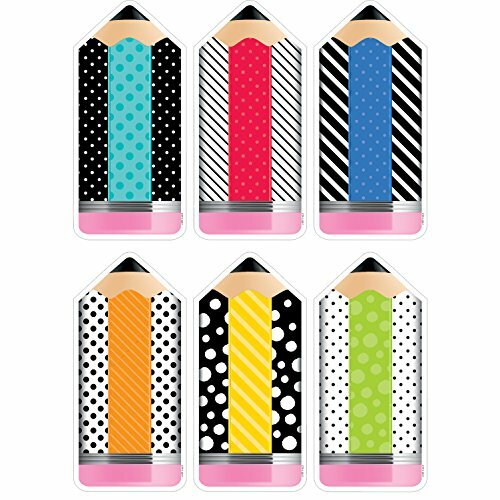 These large striped & Spotted pencils 10" designer cut-outs are a new take on the classic wooden Pencil. The bold Dots and striped patterns along with the Rainbow of bright colors (turquoise, Red, Yellow, Green, Blue, and Orange) give these versatile cut-outs a modern twist. Each Pencil cut-out is approx. 9.5" x 4.5"
Big 10" size is perfect for crafting projects, displaying photos and student work, making book covers, and more!